A young child was seriously injured after being struck by a car in Bowie, Maryland, Wednesday morning. The child was struck on the 3100 block of Belair Drive, Prince George's County fire officials say. The child's age was not released, but Prince George's County fire department spokesman Mark Brady tweeted the victim was elementary school-aged. The child suffered serious, but not life-threatening injuries. 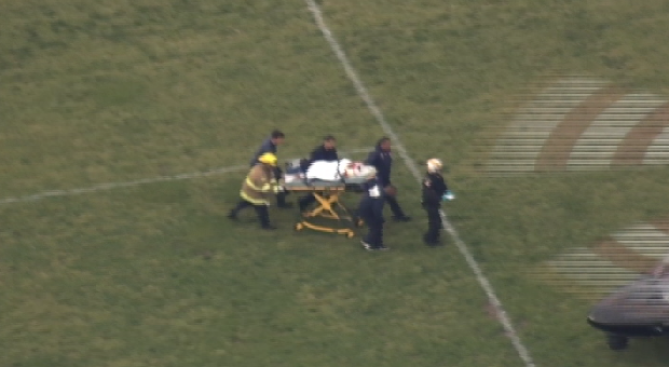 A Maryland State police helicopter landed on the football field of nearby Bowie High School to transport the victim to the hospital. No details about the striking vehicle have been released.